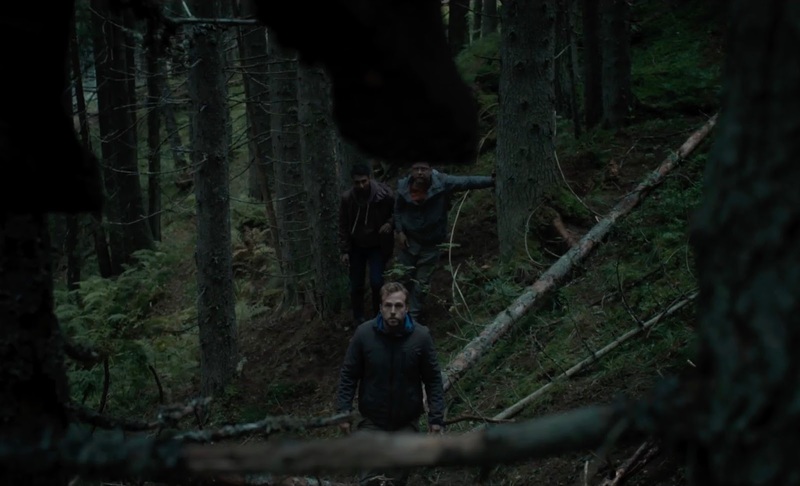 Following his closest friends' murder, some bloke named Luke (Rafe Spall) finds himself leading the rest of his college pals on a hiking trip in tribute to their late colleague's memory. Initially evocative and more adventurous than they expected, the journey is soon cut short following a tedious injury; to get to safety as quick as possible, a shortcut through the forest is taken, where a sense of unease slowly begins to emerge and a number of dark truths soon come to fruition as the group find themselves unable to escape the evil around them. 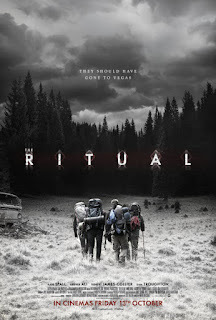 The Ritual is a film very independent at it's core, which makes it's superb production design and special effects all the more admirable. This same praise also applies when discussing the overall atmosphere; yeah, it occasionally relies on cheap jumps, but it's not without strong moments of eerie chills and frightening twists, certainly making some of it's key set pieces all the more entertaining and nerve wracking. The movie's key flaw sits within the story itself - though it begins with some surprising emotional heft, it eventually treads down typical horror clichés and lacks consistently refined development, particularly when the key antagonists emerge within the climax. The protagonists fare no better, in all honesty; which is even more of a shame considering how the performances offered up are largely superb and deserving of much praise. This is a story which simply begins strong yet sinks majorly as it approaches it's conclusion; while it has moments of chills and thrills, the final act certainly feels rushed and contrived in many areas, all coming to an end with an unusually abrupt and inadvertently comical conclusion. The Ritual does offer a genuinely scary experience in some of it's most unsettling moments - making it even more disappointing to see it lose more and more interest in it's story and pacing the more and more it goes on.